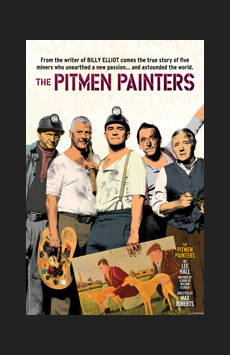 What Is the Story of The Pitmen Painters? Lee Hall’s new drama tells the true story of a group of miners in Newcastle, England, in the 1930s who discover a passion for painting and become celebrated artists in their own right. The play begins as the miners, who’ve already spent 12 hours underground in the “pit,” gather for an art appreciation class taught by a visiting professor. Stymied by an attempt to engage his pupils with photos of famous paintings none of them have ever heard of, the teacher gets the bright idea to let the miners learn by doing. The results are spectacular: The so-called Ashington Group becomes the toast of London, attracting patrons and gallery shows. Conflict looms when the most talented artist, Oliver Kilbourn, is offered a weekly stipend by a wealthy collector. Will he leave the mines and pursue his passion full-time? The Pitmen Painters has much of importance to say about the nature of art. Lee Hall, who infuses the proceedings with several highly amusing episodes, renders his characters in vivid strokes that never succumb to caricature. Expertly acted by the ensemble and evocatively directed by Max Roberts, the production also gains tremendous impact from its showcasing of re-creations of the miners' actual artworks. An entertaining and touching piece of entertainment that is intelligent, poignant and thought-provoking. What Is The Pitmen Painters Like? The action is set in the miners’ dark, empty meeting room, which by the end of the evening is filled with reproductions of the real-life Ashington Group’s paintings. Three onstage screens display projections of individual paintings as the characters critique each other’s work. Although the subject of the play is art, the message of pursuing your dreams and exploring your creativity has universal appeal. 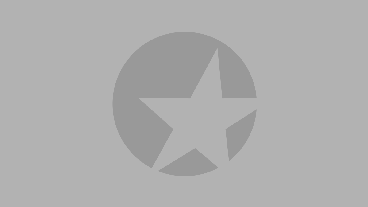 The often hilarious script is filled with likeable characters. All in all, The Pitmen Painters is a very appealing addition to the fall season on Broadway, perfect for anyone looking for a moving new play. Is The Pitmen Painters Good for Kids? With a running time of slightly more than two and a half hours, The Pitmen Painters is not really designed to appeal to children. (Take the kids to Lee Hall’s other Broadway show, the Tony-winning musical hit Billy Elliot, instead.) The play is fine for teens, particularly those interested in art; be aware that a female “life drawing” model briefly removes her shirt in act one to comic effect.